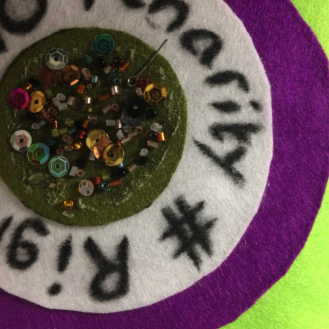 Our banner making expert Clare Hunter of Sewing Matters, has created some brilliant tips to help you on your creative textile journey! Don’t cut corners when it comes to ironing your fabric, pinning, tacking, not using greaseproof paper between your iron and your banner – it’ll only end in tears! Be imaginative, but be realistic – ambition can be labour-intensive! Celebrate your achievements with cake, wine, whatever makes you feel proud of what you’ve done together. 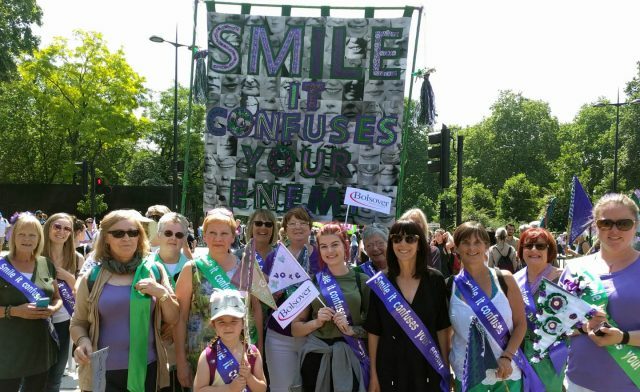 Then photograph yourselves with your banner and post it online using #PROCESSIONS2018! We will create a gallery of all our favourite banners so please make sure you share them with us using the #.